In Gear! ApRi Handmade Wallets Home | About Us | Opportunities | Sponsorships | Contact Us! We’ve featured several men’s handmade wallet designs before, but nothing like what you’re about to see! Last week we had the good fortune of experiencing a variety of wallets from the amazing ApRi shop on Etsy, and we’re thrilled to be introducing you to them and sharing our review with you today! We love wallets, and think most other guys do too. Wallets keep us organized without any hassle, add something unique to our personal style, and quickly become part of our basic essentials. No guy can walk out the door without wallet and keys, and the look and feel of a wallet tends to be a pretty personal and even meaningful thing. Considering how integral a good wallet is for most men, we think it’s a good idea to make the right choice when buying one, and you can definitely make the right choice with any of the small or full-size wallet designs from ApRi. All of the wallets from ApRi are made from upcycled coffee sacks procured from local New England coffee roasting companies. The stitching is all done on vintage commercial-strength sewing machines, and the backing and finishing materials are all salvaged from quality vintage items. All of the various high-end elements used in the making of these wallets are completely vegan. 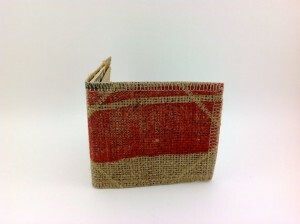 The original printing from the coffee sacks shows on most of these wallets making them truly one-of-a-kind pieces. This is an artistic feat of minimalist perfection. This wallet design is extremely popular with guys right now – and you’ll see why. 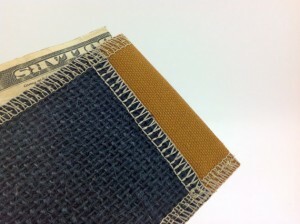 The small wallet design allows for cash in the center pocket and cards in two snug side pockets. It’s compact, easy to work with, and fits perfectly in pockets of all sizes. We we are able to fit in cash, driver’s license, debit card, ATM card, club card, and 5 business cards with no trouble. Perfection! A minimalist wallet is just that. I allows you to carry the essentials with you without a lot of bulk or hassle. 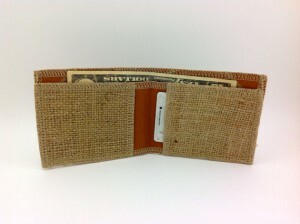 This wallet is all about cash and cards with no room for change – and for many of us that’s a welcome design perk! This wallet is a great on-the-go accessory for a night on the town, traveling, or shopping since it’s easy to work with and doesn’t weigh you down. In a traditional billfold style, the full size handmade men’s wallet from ApRi features a cash pocket that doesn’t require the cash to be folded, as well as two snug card pockets for debit cards credit cards, I.D.’s, and business cards. Like the small wallet, this design wastes no space. The tough materials and strong stitching techniques let you carry what you need without bulk, hassle, or fumbling. We loved how snug the pockets were and felt completely confident that our cards wouldn’t slide out during our adventures. 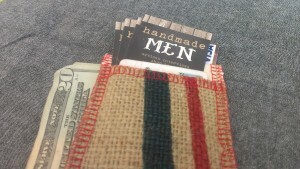 If you’re in the market for a new handmade men’s wallet, look no further! 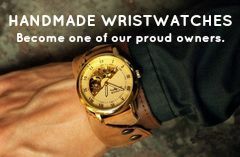 The designs available from ApRi are absolutely awesome, and this shop is getting rave reviews from the Handmade Men team and from their many loyal customers as well. Tagged ApRi, Coffee Cozy, in gear, review, Upcycled, Wallet, Wallets. Bookmark the permalink.